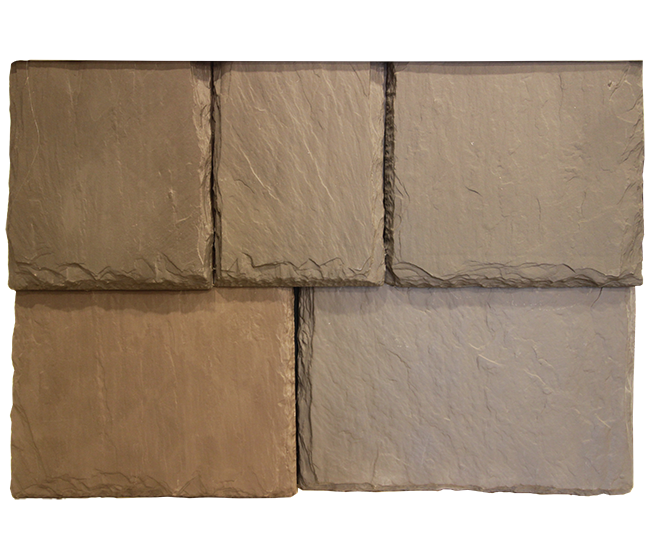 Synthetic slate roofing tiles enhance the beauty of your home without the high cost of natural stone. Combining the timeless appearance of authentic slate with the performance of a state-of-the-art engineered polymer, synthetic slate tiles are an excellent, and more affordable alternative to real slate. Much lighter in weight, synthetic slate is easier to transport, install and repair. 100% recyclable, they are considered to be a “green” building material and environmentally friendly. They are engineered to be more durable than natural slate as well, resisting freeze/thaw cycles, winds up to 110 mph, fire and hail. Available in a variety of colors and blends, synthetic slate is a smart choice for increasing your homes value while maximizing your home’s protection. 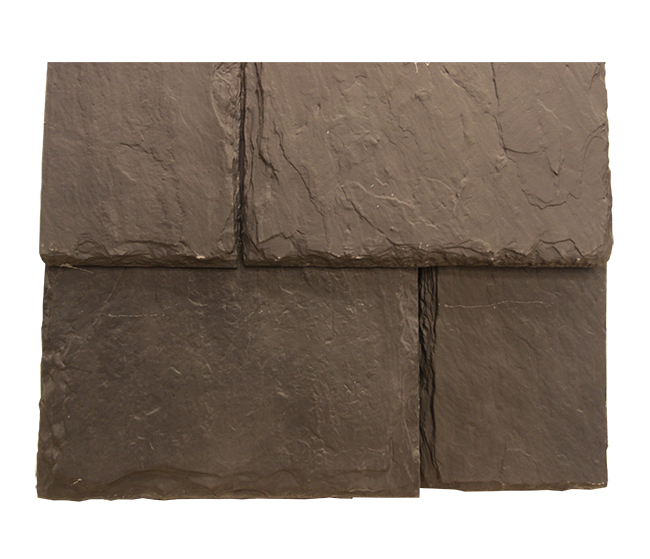 Single-width synthetic slate tiles are modeled after real slate giving an authentic and textured appearance. Because of their uniform size, they are lower in cost and faster to install. At 12” wide and ½” thick they provide consistent, clean and simple and design. Designed to enhance the unique character of your home, multi-width slate tiles vary in width from 6” to 12” and are ½” thick. They are crafted to display rough edges and stone-like texture. The varying widths and rough edges provide more of a rustic and classic old world appearance. To speak to a professional about synthetic slate roofing, color options, and pricing we invite you to come visit our showroom located at 301 Fields Drive, Aberdeen, NC 28315. Contact us to schedule an appointment.